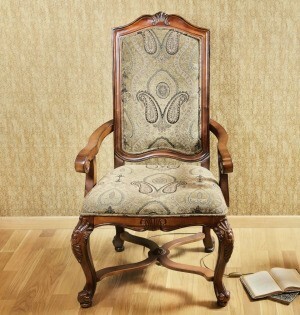 Repairing your antique upholstered furniture needs to be done, keeping the antique value in mind. 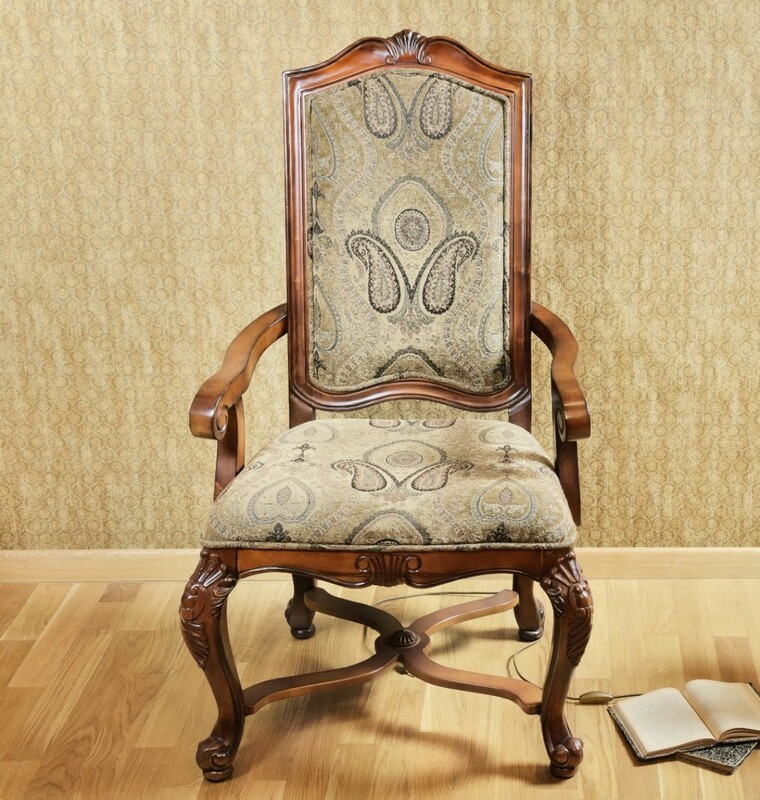 This is a guide about repairing antique upholstered furniture. I have an antique couch that is over 100 yrs. old. It has trim running down the side of the arms. At Christmas time my grandson starting pulling on the trim and it is hanging half way down. I bought some fabric glue, but it didn't hold. Would like ideas on how to fix this. Thank-you! If the part of the couch is backed up against a wall..take material from that part for a patch. Using the torn piece as a pattern, trace the piece + extra to fold under at the edges. Get some elmer's glue, and some pins or scotch tape. Spread the back of the patch with glue and pin/tape it into place...my mom did this for a dust ruffle on my couch...which my dog tore. It worked beautifully! 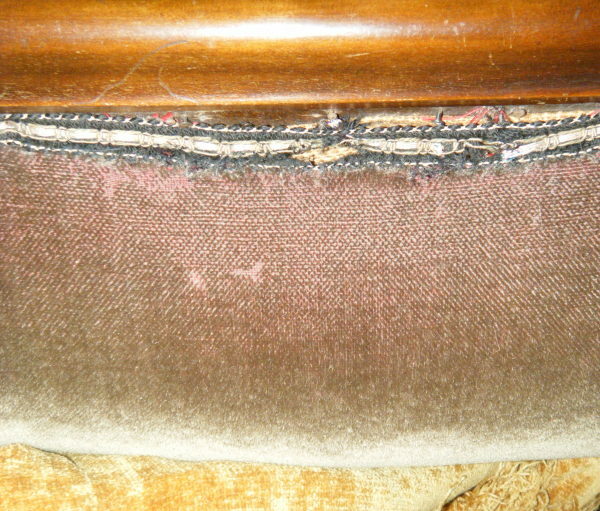 Use a semi-circle upholstery needle and upholstery thread to reattach the trim. The needle comes in a pack with several other heavy duty carpet/upholstery/leather/mattress/tent/fur/canvas needles and costs around three USD at Wal-Mart and fabric stores. I think you can order them online, too. The semi-circular shape of the needle makes the stitching a fairly easy job but I suggest using a thimble to push the needle through as you stitch. The heavy duty upholstery thread is also found at the same stores that carry the needle packs-it's thicker, stronger, and usually lightly waxed to make pulling the threaded needle through the fabric you are sewing. You should be able to find a thread that matches your antique sofa since the selection of thread is usually wide enough to make a good match. If you are looking for glues, go to a sewing fabric craft store and there are so many different kinds of glues for many purposes. Regular school glue should not be used, that stays stiff and can be removed with water. I keep several kinds in my sewing supplies. I have a beautiful sofa from the mid-1920s that has the original velvet upholstery on it. There are the expected areas where some of the nap has been rubbed off and that's not a worry to me. However, at the seat back, the trim is shredding and pulling away from the wood frame. It was originally fastened to the frame with small rounded head nails. When I first noticed it, I tried to repair it with tiny brads, but the fabric trim is so fragile, it just shredded and pulled away from the frame again. Any ideas as to how I can fix it before it gets worse? I think I would try some hot glue, and then quickly pull the fabric up where it belongs. It will undoubtedly strengthen the fabric, too. You probably don't want to hear this but when it looks like that, I would say it is time to get it recovered. I would not put any work into it because it looks so thin, it will just split anyway.